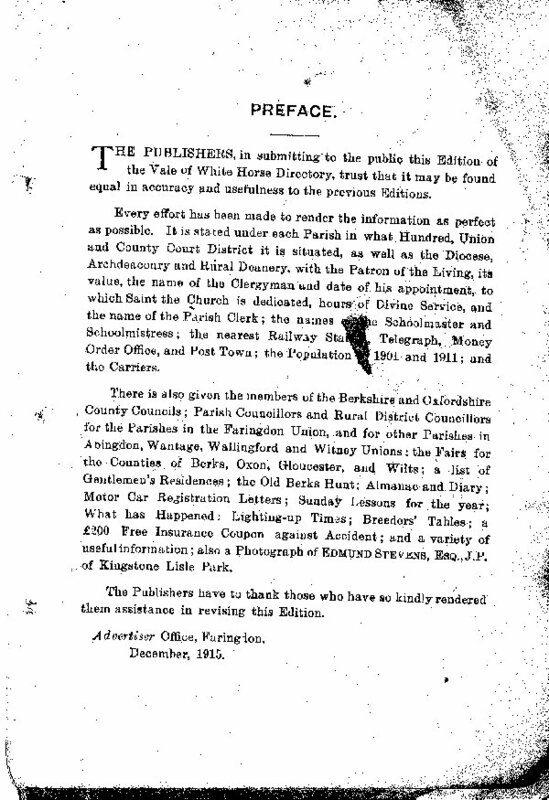 THE PUBLISHERS, in submitting to the public this Edition of the Vale of White Horse Directory, trust that it may be found equal in accuracy and usefulness to the previous Editions. Every effort has been made to render the information as perfect as possible. It is stated under each Parish in what Hundred, Union and County Court District it is situated, as well as the Diocese, Archdeaconry and Rural Deanery, with the Patron of the Living, its value, the name of the Clergyman and date of. 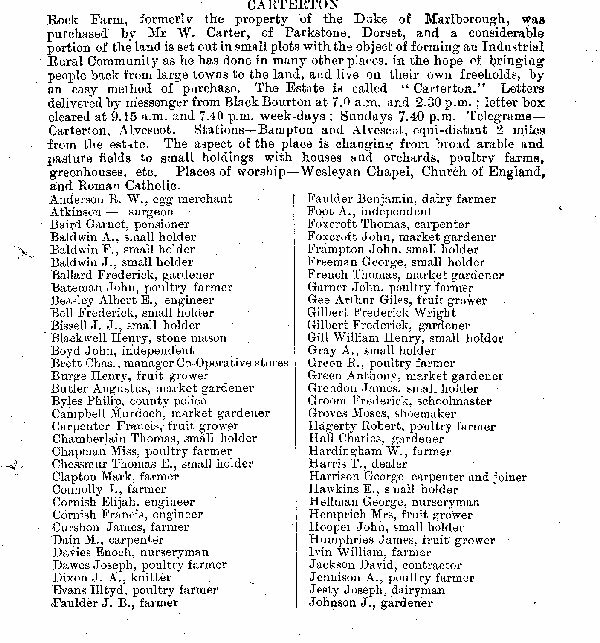 his appointment, to which Saint the Church is dedicated, hours of Divine Service, and the name of the Parish Clerk; the names the Schoolmaster and Schoolmistress; the nearest Railway Station, Telegraph, Money Order Office, and Post Town; the Population 1901 and 1911; and the Carriers. 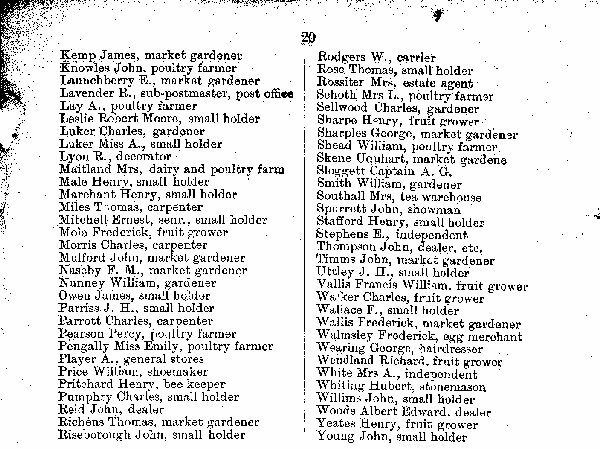 There is also given the members of tbe Berkshire and Oxfordshire County Councils; Parish Councillors and Rural District Councillors for the Parishes in the Faringdon Union, and for other Parishes in Abingdon, Wantage, Wallingford snd Witney Unions; the Fairs for the Counties of Berks, Oxon, Gloucester, and Wilts; a list of Gentlemen’s Residences; the Old Berks Hunt; Almanac and Diary; Motor Car Registration Letters; Sunday Lessons for the year; What has Happened: Lighting-up Times; Breeders’ Tables; a £200 Free Insurance Coupon against Accident; and a variety of useful information; also a Photograph of EDMUND STEVENS, ESQ.,J.P. ,. of Kingstone Lisle Park. The Publishers have to thank those who have so kindly rendered them assistance in revising this Edition. Advertiser Office, Faringdon. December, 1915.
office. Nearest telegraph office, Bampton. Carrier, W. Winfield, to Witney and Oxford, Thursdays and Fridays. An omnibus from Burford to Bampton Station is run daily (Sunday excepted) meeting the 9.50 to Oxford in the morning, and the 7 p.m. from Oxford and Fairford, returning to Burford. 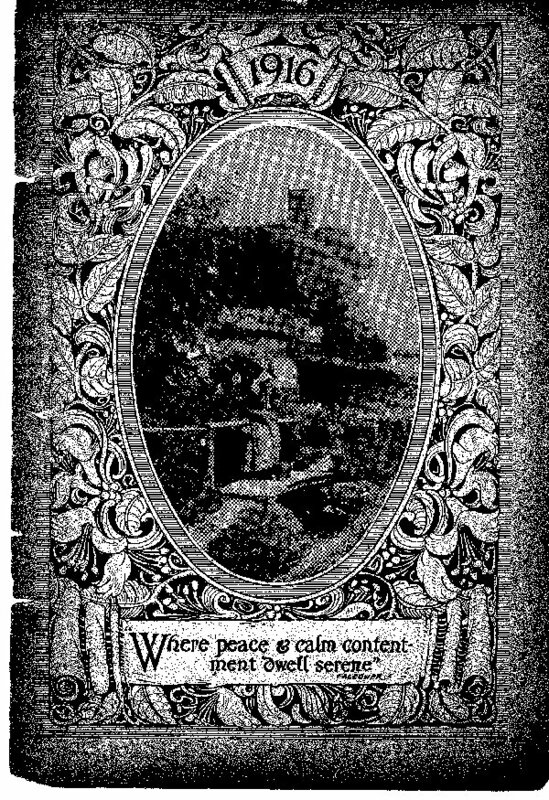 Rock Farm, formerly the property of the Duke of Marlborough, was purchased by Mr W. Carter, of Parkstone, Dorset, and a considerable portion of the land is set out in small plots with the object of forming an Industrial Rural Community as he has done in many other places, in the hope of bringing people back from large towns to the land, and live on their own freeholds, by an easy method of purchase. The Estate is called "Carterton". 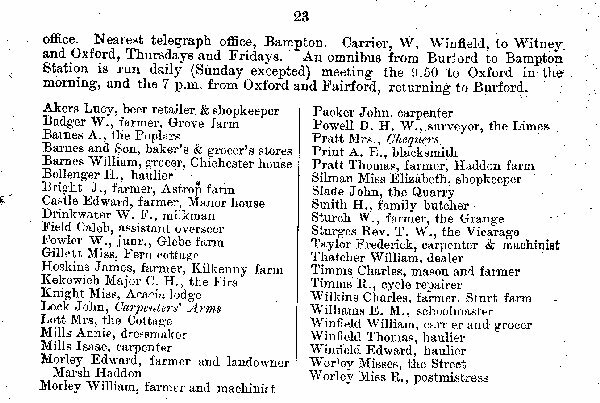 Letters delivered by messenger from Black Bourton at 7.0 a.m. and 2.30 p.m.; letter box cleared at 9.15 a.m. and 7.40 p.m. week-days; Sundays 7.40 p.m. Telegrams – Carterton, Alvescot. Stations – Bampton and Alvescot, equi-distant 2 miles from the estate. The aspect of the place is changing from broad arable and pasture fields to small holdings with houses and orchards, poultry farms, greenhouses. etc. Places of worship – Wesleyan Chapel, Church of England, and Roman Catholic.